Alan Rusbridger, the long-time former editor-in-chief of The Guardian, will discuss his new book, “Breaking the News: The Remaking of Journalism and Why it Matters,” with Washington Post Editor Marty Baron on Friday, Dec. 7. 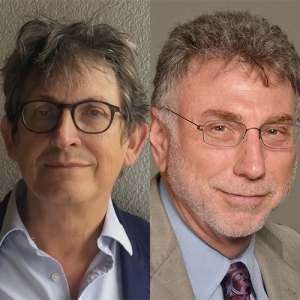 Alan Rusbridger, the long-time former editor-in-chief of The Guardian, today will discuss his new book, “Breaking the News: The Remaking of Journalism and Why it Matters,” with Washington Post Editor Marty Baron. The luncheon is being sponsored by the National Press Club's Journalism Institute and will take place in the Holeman Lounge. Lunch will begin at 12:30 p.m. with the program scheduled to run from 1-2 p.m. Tickets are $25 for Club members and $39 for the general public. Tickets can be purchased online. Books will also be available for purchase at the event. Rusbridger will sign books afterwards. For all ticketing-related questions, please email reservations@press.org. Tickets must be paid for at the time of purchase. Funding for this program was provided by a grant from the Evelyn Y. Davis Foundation. Rusbridger was editor-in-chief of Guardian News and Media from 1995 to 2015. He oversaw such scoops as the exposure of phone hacking by Rupert Murdoch's London tabloids, the Wikileaks release of U.S. diplomatic cables, and the revelation of Edward Snowden's National Security Agency files. He is the author of Play It Again: An Amateur Against the Impossible and is currently chair of the Reuters Institute for the Study of Journalism and principal of Lady Margaret Hall, Oxford University. Baron became the executive editor of the Washington Post in 2013. Under his leadership, the Post has won seven Pulitzer Prizes. The National Press Club Journalism Institute promotes press freedom worldwide, provides professional development and training, and offers scholarships to aspiring journalists.